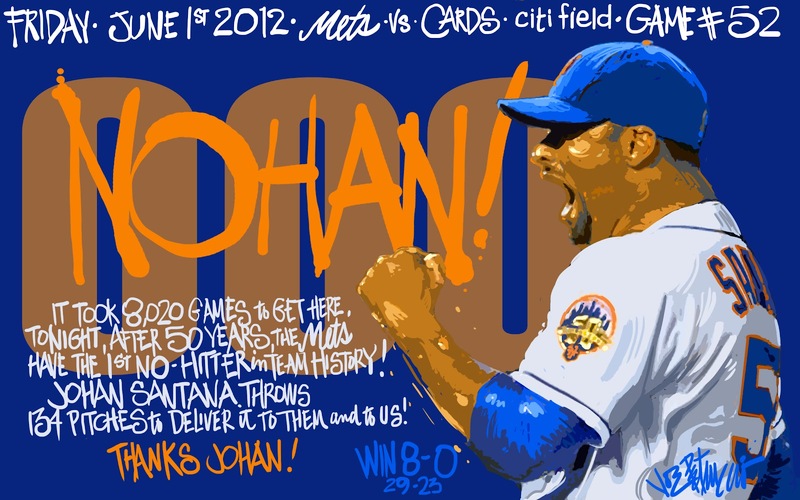 My Mets Journal: Finally....It's NOHAN ! I'm so glad you were finally able to draw this! What an Amazin' moment. Love this one ... One of the BEST moments in NY Mets history ... Thanks to Johan Santana !!! 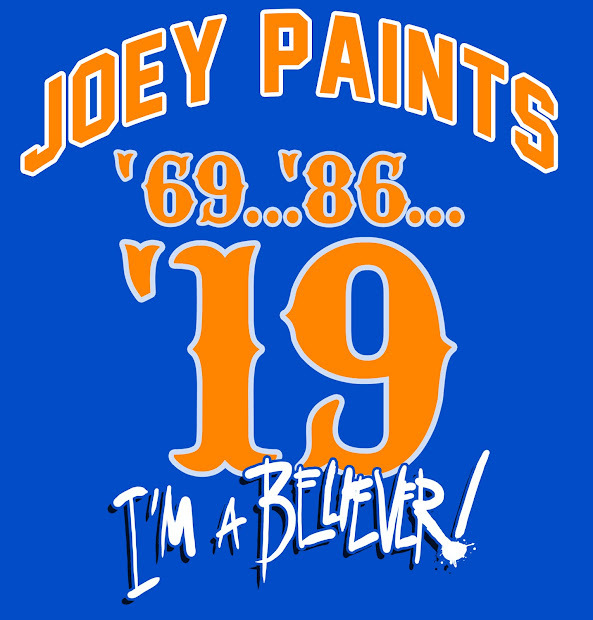 Let's Go Mets 2012 !!! Thank you for this. Just an incredible feeling after all the stuff we've gone through. And I was so glad it was against the Cardinals, and Wainwright, and Beltran, and Molina. That 2006 demon was exorcised last night, thank you Johan! Unbelievable!! I would love to purchase this print...will you make it available for purchase? YES! And I agree with Eric — a print of this would be spectacular to frame with my ticket and scorecard! I couldn't wait to see today's post after seeing last night's game! you MUST offer this as a print! Let us know if you can offer this as a print.. i'm making room on my wall for NoHan! It's a great day to be a Mets fan!!! What an awesome moment!! Like a dream! How Amazing!!! Awesome drawing...agree with the comments above, can you make this available for purchase? I agree with you, Christy! When I was watching the 9th last night, I started thinkin' "what's tomorrow's cartoon going to be like?". You didn't disappoint. I remember a week or two ago, you mentioned that maybe this year the Amazin's will get their 1st no-hitter after Dickey proved to be nearly unhittable again. Who knew it would happen... so soon? Awesome game last night. So exciting! Joe: Please put this on a t-shirt. I will order four immediately!!! Wow. Prints for sale? T-shirts for sale? Keep us posted !!! Like Devon, One of my first thoughts after the game was what will the cartoon look like. It looks amazin. For a truely amazin moment. Thanks joe. I want one!